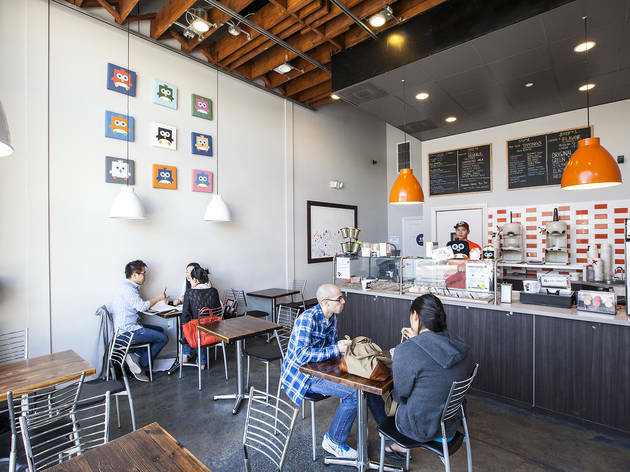 Restaurants, Ice cream parlors West L.A. 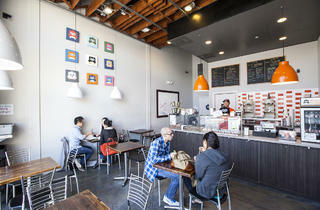 Photograph: Jakob N. LaymanBlockheads Shavery Co. 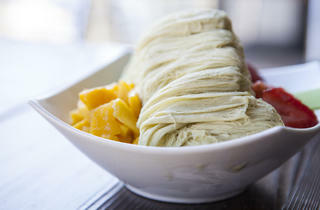 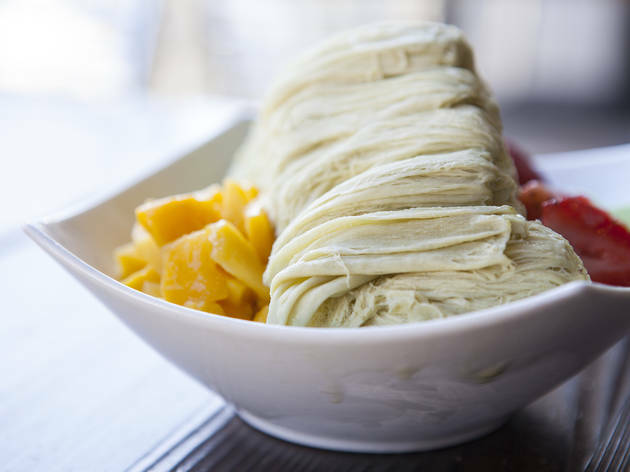 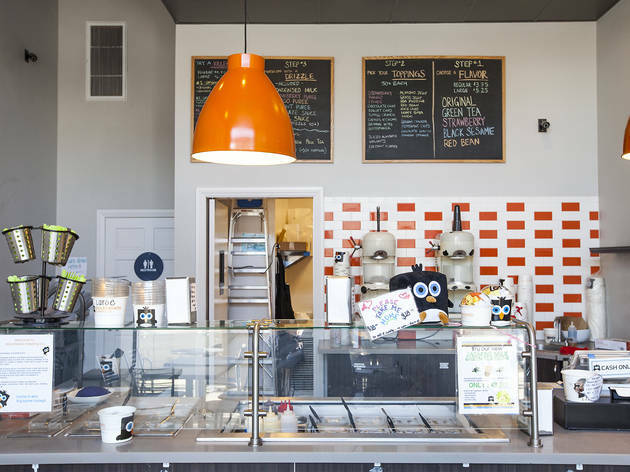 Photograph: Jakob N. LaymanGreen tea shaved ice at Blockheads Shavery Co. 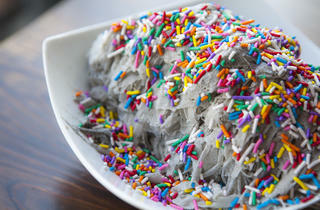 Photograph: Jakob N. LaymanBlack sesame shaved ice at Blockheads Shavery Co. 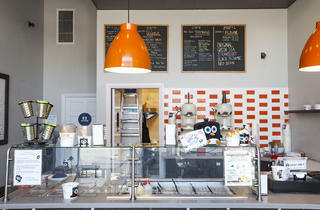 This place seems to cultivate a cult-like following, but I've never had anything here that was better than merely "good." 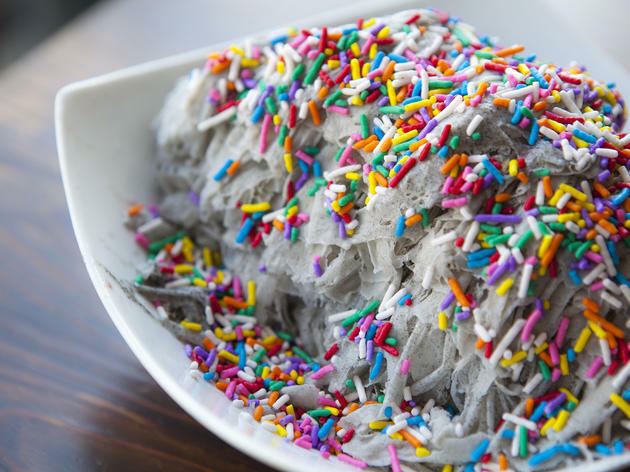 Also, I guess it's a good thing to complain about, but I always feel like I have way more shaved ice than I can eat.